Australia is one of the best places to get your dream job and enhance your international career in Australia. To find the job in Australia one should require good skills and passion to work in Australian culture. When you select Australia to settle then find details about demand occupations through Consolidated Sponsored Occupation List. The major two aspects of Australian Immigration procedure is you must do with the language Certification to know your strength of language. Submit the application and choose the right occupation to apply to the Online processing system. 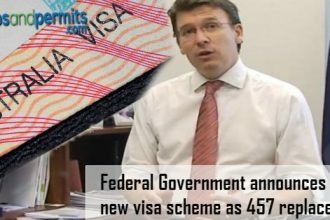 After that, you will get the invitation for PR visa in Australia while processing you must attach essential documents. Once you have submitted the documents then you need to follow concerned authorities for the approval of the visa. Then after that do your homework to find the jobs. In Australia choose these sectors because in these sectors you will find more jobs in these sectors. Target those skills which Australian employer or any other companies’ needs by knowing this you can enhance your skills for getting a job. Lots of opening will be posted daily through online. Check-in job portals sites or any supported sites. Try to check with your profession in different ways and with other names, check and apply daily at least 30 jobs. Herald, The West Australian Perth and The Courier-Mail Brisbane. Research about those vacancies which related to your profession and try to search recruiter name and its mobile number on the website. Prepare your resume as per Australian standards, if you are unable to prepare as per standards reach out “Jobs and permits” or any other Resume writing services who will craft your Resume to international standards. CVs highlight is very important information on the initial page. Try to use keywords like Career Summary, “Key Skills and Qualifications”. 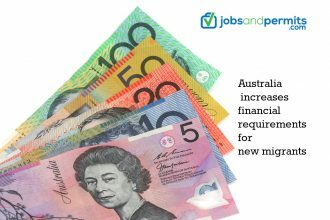 Use your contacts for getting the Job in Australia. Target every employer n the region in which you settle to Plan and also apply even if no advertised vacancy. If you are not getting confirmation about your application and try to call or email to human resource for an update of your application. Unplanned interviews you can suggest employer for a Skype or video conference interview if you are unable to present on that day.Age Melbourne, Sydney Morning Herald, The West Australian Perth and The Courier-Mail Brisbane. 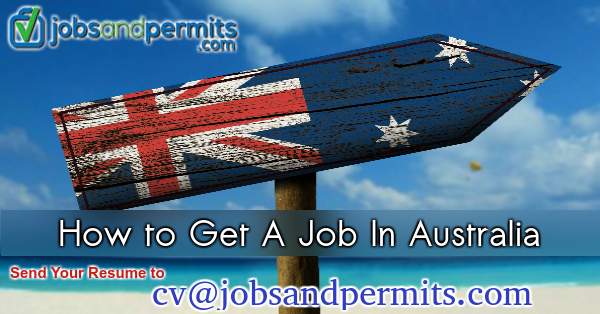 Jobs and Permits who will help applicants who may not have an Australia PR. When you prefer us to help then definitely we will aid on your eligibility for Australia and prepare your resume accordingly. Our professional team prepares and drafts a good looking cover letter which will weight to your professional resume. Contact us today and enhance your career in Australia. Jobs and Permits do not charge the fee they market your professional and they not provide guarantee jobs.